The ancient Chinese medical practice, Acupuncture is a great way to treat multiple allergies, as it works to quiet the parts of the immune system that are over stimulated by exposure to various irritating factors. Acupuncture helps the allergy sufferers in two major ways - brings the body into balance so one need not suffer allergies in the future, and alleviates symptoms like headaches, fatigue, itchy eyes, stuffiness, etc. Acupuncture treatment helps ease allergies by boosting the immune system, reducing inflammatory responses and symptoms. Herbs or nutrients taken in supplement form like capsules, tablets, or liquids may provide some allergy relief. The plant extract, butterbur helps reduce the symptoms of allergies with effectiveness compared to different prescription antihistamines. Don’t eat raw, unprocessed butterbur root as it is dangerous, instead opt brands of specialized butterbur supplements that are labeled UPA-free. Quercetin, found in wine and several fruits and vegetables, may also ease allergies. Another herb that may help is stinging nettle - it is a safe, natural antihistamine that doesn't make you sleepy, and decreases seasonal allergies very effectively. Most people suffering from allergy symptoms don’t know that allergies are directly related to digestion. Also, changing the way you eat is an essential part of controlling your allergies. Eat local, seasonal foods and more raw foods, mainly in the warmer months as it keeps us in tune and in balance with the natural cycles around us. Eat lots of green vegetables like kale, broccoli, spinach, and Brussels sprouts, and drink plenty of warm water throughout the day. Eat whole grains like quinoa, amaranth and brown rice in place of wheat, rye and barley, which are usually high allergy grains. One should also eat cherries, pineapple, papaya, pear, mango, cranberries, and citrus fruits. People with allergies should not eat foods like Sweets, Oily foods (primarily deep fried), Cold foods, (primarily ice cream), Cheese, Cold beverages, Canned foods, and Leftovers, as these foods are supposed (in ayurveda) to clog the digestive system and result in excess mucus creation. In place of these foods, eat foods that are warming and disperse toxins from the body like spices - ginger, garlic, cinnamon, and black pepper. The first warm days of spring or cool days of fall will excite you to close down your systems and open the windows. When seasonal allergies are at their peak, opening your windows is like welcoming pollen to invade your living space and cause allergy symptoms - raw red noses, red watery eyes, sneezing, coughing, wheezing, scratchy throats and labored breathing. If you are allergic to pollen, then close the windows at home or in your car especially on high-pollen days. Allergy sufferers should not use fans during pollen season as they can stir up dust, instead rely on air conditioning, which cleans, cools and dries the air. When you come home from outside, anything you wear or bring outside can collect pollen so put your shoes, jackets, gloves, etc. outside the door since it lessens the amount of pollen you track into the house. Wipe down your dog's coat before he enters the house, as pollen clings to fur. The time of day you prefer for indoor or outdoor activities matters a lot. When pollen counts or ozone levels are high, or the weather is so cold in the early morning, exercising indoors is good instead of exercising outdoors, especially for allergy sufferers. Sometimes switching your usual morning jog or cycling to an evening also makes a huge difference. Practicing proper hygiene is important, mainly during the height of allergy season. Pollen circulating in the air can easily get trapped on your skin and hair, so taking a shower or washing your hair before going to bed helps remove allergens from your skin and hair. 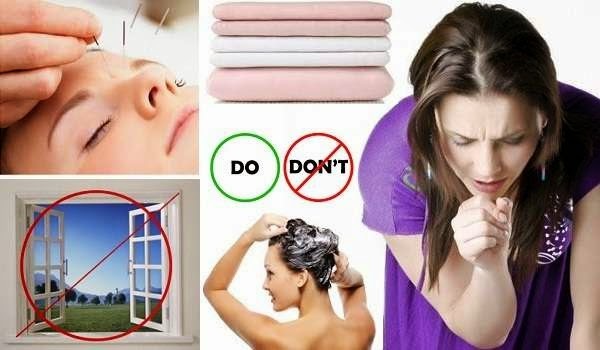 Failure to do so can raise the chances that the pollen spreads to furniture, sheets, pillowcases, clothes, and other surfaces where they're possible to afflict you. Moreover, don’t use hair gel and related hair-care products that can operate as “pollen magnets” during allergy season. Speaking of bedtime, it's a good idea to wash your blankets and sheets once a week in water that is at least 140 degrees Fahrenheit in order to kill the dust mites roosting there. You can even use a special anti-allergen detergent for washing your blankets and sheets instead of hot water. This easy step will provide you a fresher, cleaner bed, and also relaxing, allergy-free nights and mornings where you wake up refreshed. Wear oversized sunglasses to obstruct pollen get entered into your eyes and eyelids that will cause redness, red and water eyes, particularly on windy days. When gardening or lawn mowing, put on a pollen mask, make use of gloves and don’t touch your eyes and face. A number of plants and flowers could raise your allergy symptoms, mainly if you really inhale their aroma up close. Stay away from following: Daisies, dahlia, sunflower, chrysanthemum, amaranthus, zinnia, black-eyed Susan, privet and lilac. If you like to eat spicy foods, then a dish prepared with onions, hot ginger, cayenne fenugreek, pepper, or garlic can assist thin mucus and clear nasal passages. If drainage leaves you with a sore throat, then gargle with warm salt water prepared of 1-2 Tablespoons of table salt in 8 ounces of water could relieve the pain. Meditation can provide a positive impact on your allergies by inducing your body into its relaxation response, and all that relaxation can help lower high blood pressure, and promote better sleep.